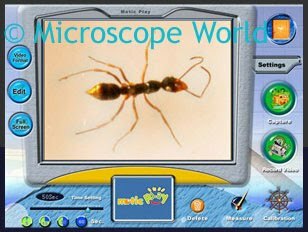 The Motic Play Software is included with the digital kids microscopes DM-52 biological microscope and DS-2 dissecting microscope. 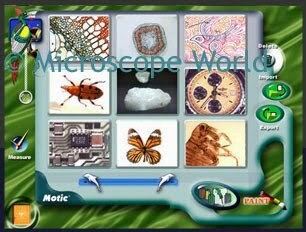 Capture images from the microscope and then edit images with the software. 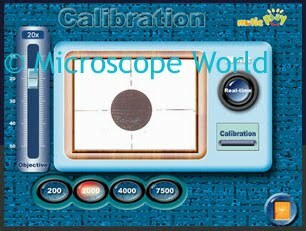 A calibration slide is included with each microscope so that you can calibrate the microscope with the software and make accurate measurements. 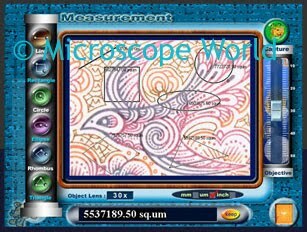 Make measurements of lines, find the area of a square, diameter of a circle or draw a polygon and find the area. 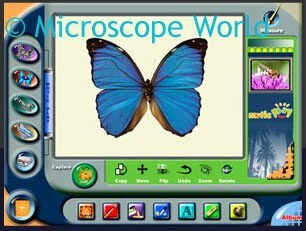 The measurements are shown in the black box at the bottom of the screen. After capturing images you can adjust the brightness and contrast of the image. Save all the images you capture to your album so you can revisit them and share them with your friends and classmates.